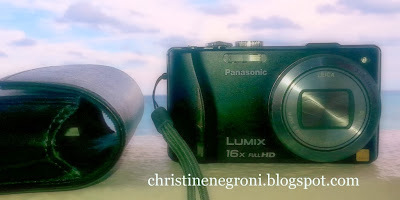 Flying Lessons: Plane-spotting or Spotted Planes, with Lumix Camera Who Knows? Plane-spotting or Spotted Planes, with Lumix Camera Who Knows? Tight shot of airplanes taken from a long, way off. There are not too many cameras that suit the needs of a frequently-traveling airplane geek who is fastidious about not only packinglight, but packing small. That’s why I bought the Lumix Panasonic ZS10. There were lots of things I liked about this camera and I wish I could recommend it. BUT I CAN'T. The camera is compact; slightly longer and not much heavier than a pack of playing cards. 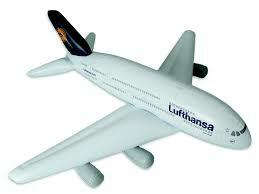 Yet it packs a powerful zoom lens that can zero in on airplanes across an airfield even in low light conditions. This is what persuaded me to plunk down $329 for the camera and another couple of bucks for the protective case in July 2011. So I was disturbed (to put it nicely) when less than a year later, bits of hair-like debris started to appear across the images whenever I used the super-duper-telephoto lens. I was even more disturbed when - after the first fix, which left me without a camera for nearly a month - the problem reappeared 3 months later. Unwilling to be without my camera, I soldiered on, becoming a master at using Picassa’s “retouch” button to erase the lint and other smudges on my photos. In September, after a great morning shooting from my room at the Hilton Charles de Gaulle perfectly perched over the runway this is what my photos looked like. On my return home, I fired off a letter to Joseph M. Taylor the head honcho at PanasonicCorporation of North America. You would have been proud of me. While inside I was screaming, “WTF?” I wrote with restraint. I asked Mr. Taylor what needed to be done to get a “good working Lumix”. “Panasonic is not living up to its promise of providing ‘quality, value and innovation,’” I said. I’ve had some success in the past going right to the top rather than to the customer service office. Several years ago, Laura Covarrubias from Samsung, bless her heart handled my problem with a bad telephone rapid-fire right from the executive office. Once when Delta failed to reunite me with my garment bag on arrival at my destination hours before I was to attend a reception in my honor, the assistant to the president arranged for me to purchase something appropriate to wear in time to save the day. 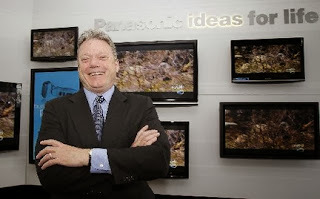 At Panasonic, however, my letter went from Mr. Taylor’s office right back down to a customer service agent named Warren. In a phone call, he explained the Lumix S10 was made with an “air port” in the lens. On extending the lens, the port allow fibers into the camera that then appear in the photos. Well that was illuminating. Warren also explained that Panasonic would fix the camera, and I would only have to pay half price for the repair. I was still trying to figure out how Panasonic felt that was a responsible way of rectifying a camera design problem when I met Robert and Linda Fasteson, travel writers and photographers who own 2 Lumix cameras similar to mine. Over dinner, at the exceedingly picturesque Peeks of Otters Lodge, (and you’d know that if I had a working camera but I didn’t) they told me they’d experienced the same thing right down to the offer from a Warren-like employee to split the repair cost “fifty fifty”. Ah, but Robert and Linda are a clever pair. They didn’t like that response either. So, figuring there was nothing to lose, they put a vacuum cleaner hose on the lens and darned if that didn’t pull the fibers right on out of the camera. The very next morning I tried it myself with equally satisfactory results. One week has passed and here’s a photo from LaGuardia Airport taken Saturday morning, as I waited to board my plane to Nassau. As you can see, the vacuum solution has its limits. Picasa my old friend, you haven’t seen the last of me. It’s a different story for Panasonic. As long as I need to use a vacuum to clean up the dust that stows away on the Lumix “air port” I’ll associate this company’s products not with “quality”, “value”, or innovation” but with the four-letter verb that starts with S and ends in K and describes what a vacuum cleaner does. Funny, I had one of the earlier Lumix models -- the DMC LX3 -- and it was one of my favorite digital cameras of all that I've owned. It took very good pictures and the battery on that thing would last forever.